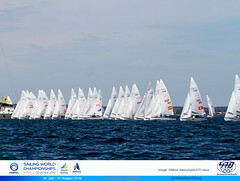 The 470 is an Olympic Class Dinghy recognised by ISAF. Sailed by both men and women, it was designed in 1963 by the Frenchman André Cornu as a modern fibreglass planing dinghy. 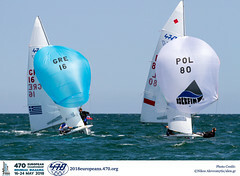 The International 470 Class is the class of boat used for both the men’s two person and women’s two person dinghy events at the Olympic Games. Used as Olympic equipment since 1976, where the class was sailed as an open event before the introduction of separate events for men and women in 1988, the 470 is sailed in more than 61 nations around the world. The International 470 Class is responsible for the organization and administration of the 470 Class around the world. With 25% of the athletes at the Olympic Games competing in the 470 Class, the Class is committed to ensuring their interests and the broader interests of 470 sailing are represented and to encouraging, promoting and developing the 470 Class throughout the world. The 470 is equipped with spinnaker and trapeze, making teamwork necessary to sail it well. The 470 is not difficult, but to be competitive everything should be mastered to perfection. Tactically the boat is demanding because speed differences are small and fleets are usually big. To be competitive, everything should be mastered to perfection and the 470 is often quoted as the most challenging, dynamic and thrilling to sail of the boats at the Olympics. 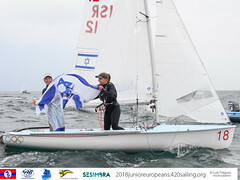 In 1969 the class was awarded ISAF International Status and it has been an Olympic class since first featuring at the Montreal Olympics in 1976. In 1988 the first Olympic women's sailing event was sailed in the 470, as the first step in increasing the number of women competing at the Olympic Games.